The need for climate change adaptation has been widely recognised and examples of successful adaptation are increasingly reported in the literature, but little attention has so far been paid to the potential negative impacts of implemented adaptation measures. As the agricultural sector is implementing measures to adapt to or cope with climatic variability and change, the potential negative consequences of these measures need to be explored in order to avoid increased vulnerability or (unintended) environmental impacts. This paper employs serious gaming and focus group methodology to study how agricultural stakeholders in Sweden and Finland frame and negotiate the unintended negative impacts of adaptation measures. The results of our interactional frame analysis suggest that the participants negotiated the potential maladaptive outcomes depending on: (1) whether they agreed that this was indeed a potential consequence of an adaptation measure, (2) whether they considered this to be a negative outcome, and if so whether it was (3) a negative outcome which they could adapt to, (4) a negative outcome that would make it preferable not to adapt at all (5) negotiable in terms of a trade-off with alternative outcomes. While it may be obvious that adaptation options that increase vulnerability should be avoided, this study illustrates the complex, value based, individual, yet dialogical processes and contextual basis for identifying and assessing maladaptation. As the need for climate change adaptation has been widely recognised, examples of successful adaptation are increasingly reported in the literature (Moser and Boykoff 2013). The empirical literature has focused on barriers to implementation (Biesbroek et al. 2013) and the implementation of adaptation through different policy processes (Runhaar et al. 2018). A successful example of adaptation appears to be used as a synonym for the successful implementation of adaptation but these studies do not necessarily pose the question of who experiences the positive or negative effects of the implemented adaptation or over what geographical and temporal scales. Overall, little attention has so far been paid to the impacts of implemented adaptation measures. It has been speculated that a lack of theoretical development of concepts, like maladaptation, are partly to blame (Noble et al. 2014). While maladaptation has been sparingly used and remains elusive (Noble et al. 2014), there are emerging attempts to develop and operationalise the concept. Existing definitions deal with what should be defined as an undesirable impact (Barnett and O’Neill 2010) and who should be included as experiencing that negative impact (Juhola et al. 2016), but empirical studies are largely lacking though some are beginning to emerge (Antwi-Agyei et al. 2017). Nevertheless, there is a need to empirically examine the idea of unsuccessful adaptation, i.e. maladaptation, and to contribute to the development of methodologies to assess it to push the research field further. Overall, Nordic agriculture is considered to be in a position to potentially capitalise on climate change over the coming decades, but studies have also highlighted a number of challenges that require adaptation, including measures that need to be taken in order to benefit from the potential opportunities (Reidsma et al. 2010; Wiréhn 2018). But, little is known what the outcomes of these actions are. Adaptation to climate change in agriculture provides thus an interesting case study to examine maladaptation, as adaptation measures can be taken at multiple levels by a number of actors, with the farmers themselves making decisions in their fields on a daily basis. These adaptation measures have potential negative consequences that depend on the specific context, the time period examined and those experiencing it, and they might imply trade-offs, impacting the implementing actor, other actors or sectors or common pool resources, and hence erode sustainable development, which is hereafter referred to as the three dimensions of maladaptation (Juhola et al. 2016). Hence, it is pertinent to examine what aspects of maladaptation stakeholders in the Nordic agricultural sector identify, and how they ascribe and negotiate negative values to climate adaptation measures. With the help of interactional frame analysis combined with an analysis of the three dimensions of maladaptation (Juhola et al. 2016), this paper uses focus group material from Swedish and Finnish agricultural stakeholders to advance the understanding of maladaptation. The analysis is guided by two research questions: (1) How do Nordic agricultural stakeholders interpret/frame maladaptation? (2) How do Nordic agricultural stakeholders negotiate maladaptive outcomes and relate these to the dimensions of maladaptation? We adopt an interactional approach for our analysis of sense-making processes (Dewulf et al. 2009; Asplund 2014). To classify and interpret the world in a meaningful way, Goffman (1974) argues that individuals think in terms of structures called ‘frames’. An interactional approach to frame analysis implies that frames are understood not only as the interpretation of an issue but also as an active process, of which the analysis ‘captures the dynamic processes of negotiators’ or disputants’ interactions’ (Dewulf et al. 2009, p. 160). Frames in adaptation have been researched before with regard to policy discussions (Dewulf 2013, Juhola et al. 2011), and individual perceptions (Spence and Pidgeon 2010), demonstrating the need to understand how a new issue becomes captured. 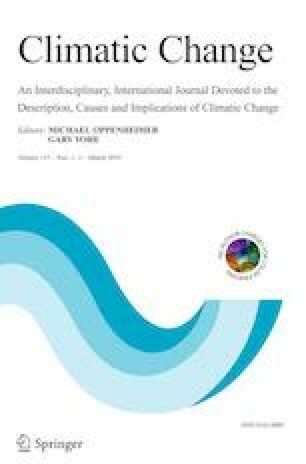 Given the interpretative frames and prior experiences of individuals, frame literature suggests that an issue, such as climate change adaptation in agriculture, can be understood in many different ways and from various angles—always in formation, debated and negotiated (Asplund 2014; Findlater et al. 2018; Romsdahl et al. 2018; Sanderson et al. 2018). We base our frame analysis on the typology of frames developed by Nisbet and Scheufele (2009). In their review of research on how the public makes sense of and participates in societal decisions about science and technology, they often found the following underlying frames, which structures our analysis (Table 1). This study undertakes a novel method development by integrating visualisation, serious gaming and focus group methodology. The characteristics of focus group material in terms of group-dynamic effects are central to the analysis of how participants frame and negotiate climate maladaptation. Focus groups are claimed to be useful in exploring interaction between participants, especially in examining how knowledge and ideas develop and operate (Kitzinger 1994; Wibeck et al. 2007). We conducted eight focus groups (four in Sweden and four in Finland), aiming for a diversity of perspectives which can inform our research questions. Focus group participants had knowledge about various types of crop production systems, were of different ages and genders and were recruited among national stakeholders from agricultural departments, boards and agricultural branch organisations as well as from regional groups of farmers and extension officers. In order to meet the need for comfort, the groups were homogeneous in terms of occupation—(i) farmers, (ii) extension officers, (iii) officials from national and regional agricultural boards and departments and (iv) representatives from agricultural branch organisations—and mixed in terms of gender and age. The gaming sessions were recorded and transcribed verbatim. We treated the focus group transcripts as one text, examining trends and patterns across the groups, rather than seeking similarities and differences between the groups (Krueger 1988). The Maladaptation Game was designed for use in a moderated focus group session and with the explicit purpose of studying the reasoning of agricultural stakeholders concerning potential maladaptive outcomes of agricultural climate adaptation measures (Neset et al. 2018; Asplund et al. forthcoming). As the game does not by default capture any wider sense-making aspects related to this process, this study merged serious gaming with focus group methodology to capture perceptions, sense-making processes and the participants’ reasoning about maladaptation. The game is designed as a virtual interactive card game, in which participants enter the game by selecting an avatar farmer and start by selecting one of four climate-related challenges: increased precipitation, increased temperatures (related to drought), increased risk of pests and weeds, and a prolonged growing season. As a specific challenge is opened up, a number of adaptation measures that the player can select are presented. These adaptation measures have specified costs (illustrated by a number of coins), and a brief explanation on the back of the card. Each of these adaptation measures has one or more potential negative consequences linked to it, of which one appears once the measure has been selected. While the players are urged to explore all the different adaptation measures and assess all the potential negative consequences, one specific measure and related outcome needs to be selected and accepted to complete a challenge. The game is finished once all four challenges have been completed. The adaptation measures and related potential maladaptive outcomes that are included in the game are based on a literature review and interviews with agricultural stakeholders (Neset et al. 2018; Wiréhn 2018; Juhola et al. 2017). The scoreboard displays the costs, as well as an additional ‘maladaptation point’ which is given depending on the ‘severity’ of the maladaptive outcome, for each of the selected measures. As the player proceeds through the game, the number of ‘maladaptation points’ increases, indicating the negative effects of the choices made, as well as a decreasing number of coins, indicating the cost of adaptation. For the final discussions, the scoreboard shows a summary of selections made and is also submitted to the moderator interface to facilitate an easy comparison of the game results for the focus group discussion. The discussion structure was similar in all groups, i.e. after an initial discussion about their perspectives on climate change and adaptation in agriculture; the participants were given approximately 20 min to play the game individually. A moderated discussion on the choices that every participant made followed the individual reflection, in order to discuss their selection of adaptation options, as well as a negotiation of the accepted (and rejected) maladaptive outcomes. To enable an interactional frame analysis, the moderator’s guiding principles were oriented towards the processes of group dynamics—to listen and ask while not engaging in the discussions and to encourage sharing and comparing between group participants (cf. Krueger 1988). The inclusion of games in focus group methodology entails both challenges and benefits to sense-making processes as presented in Asplund et al. (forthcoming). While we found the options given in the Maladaptation Game to sometimes clash with the players’ everyday experiences and practice, we also conclude that gaming stimulated joint reflections and supported players’ sense-making processes on maladaptive outcomes. Here, we outline how the participants jointly construct meaning and negotiate between various perspectives on maladaptation. The discussions in each of the focus groups developed depending on the selections made by each participant in the game, as well as their specific reflections related to, e.g. their own practice and experience. The participants negotiated the potential maladaptive outcomes depending on whether they agreed that this was indeed a potential consequence of an adaptation measure, whether they considered this to be a negative outcome which they could adapt to, or a negative outcome which would make it preferable not to adapt at all, or still be acceptable compared to alternative outcomes. All the frames listed in ‘Section 2’ recurred in at least four out of eight of the focus group discussions, while the two most frequently discussed frames were the economic frame and the middle-way frame. Each of the following sections is structured by the identified frames and includes an analysis of how stakeholders negotiated maladaptive outcomes. In the text, the adaptation measures and maladaptive outcomes as suggested by the game are marked in italics. ‘When I make decisions, I firstly have to think: how can I continue to make a living?’ One Swedish participant explained. The general notion of avoiding increased costs while adapting to climate change was a frequently occurring feature in the stakeholder discussions. Discussions revisited whether increased costs were a maladaptive outcome or rather an investment that could lead to increased benefits in a longer timeframe. Furthermore, the role of markets, competitiveness and prices were of relevance when the economic aspects of climate maladaptation were negotiated. Participants described the general decision-making process as linked to economic thinking at the farm level, but within the boundaries of policies, regulations and other societal limitations. Since costs were frequently part of the farm enterprise, most maladaptive outcomes that were discussed within this framing fall under the category of ‘rebounding vulnerability’, i.e. impacting on the implementing actor or sector. While some maladaptive outcomes in relation to increased costs were indeed considered to have a negative impact, several were considered as possible to adapt to, such as the increased costs of crop rotation, which were argued to be negative for the farm enterprise only from a short-term perspective, but possible to handle in the long term. Other potential maladaptive outcomes were discussed in terms of trade-offs, but were still considered better than not implementing the selected adaptation measure at all. For instance, the increased costs of structural liming and the need for irrigation fell into this category. An adaptation measure that was refused by all participants was to sign insurance. This decision was predominantly based on the perception that insurance is more expensive than it is worth for the farm enterprise. A number of maladaptive outcomes that participants were prepared to accept, even though recognising them as impacting negatively on the common pool, were related to path dependency. One particular example was a farmer, who selected sub-soiling as an adaptation measure, due to an investment in sub-soiling equipment the previous year. As such, this investment was negotiated against the environmental cost of the increased risk of erosion and nutrient leakage. Further outcomes with an impact on the common pool that participants negotiated within the economic frame were the increased use of fertilisers and pesticides, as both were linked to increased costs and more fieldwork. As such, the economic frame, which impacts upon the implementing actor, was combined with the environmental impact of these maladaptive outcomes. These were either considered as not acceptable or possible to adapt to by adjusting the input or using other types of products. Discussions frequently referred back to alternative solutions to cope with potential maladaptive outcomes or to circumvent the negative effects by applying experience and professional knowledge, as illustrated by one extension officer: ‘No, I’m not going to irrigate with groundwater, I will build a dam and use surface water in winter. This will not lower the groundwater level’. In other examples, the maladaptive outcome was negotiated as acceptable since it would nevertheless be preferable to the alternative negative outcomes as presented in the game or based on other experience or knowledge. Irrigation was discussed as being necessary to secure access to fodder, or labour intensity being easily compensated by management and economic backup or by using contractors. Following a similar line of argument, a number of maladaptive outcomes that impact negatively on the implementing actor were discarded with the argument that these would not be relevant if, e.g. the right kind of crop were selected, or, again, that these negative outcomes could be circumvented with alternative cropping strategies, such as crop rotation. Similar arguments were also raised when discussing maladaptive outcomes that might impact on other actors or sectors. As such, participants negotiated maladaptive outcomes as not applicable, since management practices and new technologies—such as new techniques, plant breeding, or new chemicals—are available. Somewhat different arguments were raised for maladaptive outcomes that impact upon the common pool, in the given examples, mostly focusing on environmental impacts. Participants frequently referred to alternative practices, the precise implementation of measures, or a combination of measures. One specific notion in this context was trust in alternatives that already exist or might be available in the near future, e.g. new resistant crops, or simply by increased knowledge and experience of how to handle these challenges. Discussions concerned negative effects of, e.g. an increased need for fertilisers, which would increase operational costs for the farm enterprise but also, most significantly, impact on the environment and global mineral resources. This maladaptive outcome was frequently challenged by the notion that crops with lower fertiliser demand could be selected instead, which was in line with a more general discussion on alternative pathways for Nordic agriculture. This framing rarely focused on maladaptive outcomes that rebound upon the implementing actors, but rather on outcomes that would shift vulnerability onto others or impact upon the common pool. While some of the proposed negative outcomes, such as lower groundwater levels due to irrigation, were considered to be maladaptive, adaptation options to cope with these negative impacts, such as other water supplies or dams, were raised. Furthermore, participants discussed the need to acknowledge that ‘not just the neighbour but society at large’ will suffer due to some of these maladaptive outcomes. In particular, the interpretation of increased use of pesticides as a maladaptive outcome was challenged. It was questioned whether these actions are per se maladaptive, with regard to environmental and human health, or whether a ‘safe usage according to regulations’ would offset these negative effects. The need to use pesticides to produce sufficient food for a growing population was one of the distinct references made to social responsibility. One Swedish farmer expressed this as ‘Who will feed the world if we’re not allowed to use chemical pesticides?’ In similar terms, the opposing argument was raised that it is a common social responsibility to sustain soil quality; hence, the necessity to circumvent the potential maladaptive outcomes of increased use of pesticides. Several maladaptive outcomes, such as the ones related to a shift to ‘new varieties’, were negotiated as depending on the level of knowledge, skills and techniques of farmers, or in relation to the aspect that some alternative solutions might require new networks. Conflicts of interest were the most dominant feature relating to this frame. Maladaptation was frequently negotiated in relation to the increased use of pesticides versus the global goal of food security, as presented in the previous section. However, in this framing, the discussions featured a negotiation of what was described as choosing ‘pest versus cholera’ by the participants. The general conflict between environmentalists and agriculturalists, in which one type of production is blamed as ‘contributing more’ than another, was also frequently referred to. Conflicts also appeared to be inflicted by other systems that influence the agricultural sector, such as national budgets and politics. Maladaptive outcomes that rebound on the implementing actor were exemplified by trade-offs between changing agricultural practices, such as shifting to organic agriculture or increasing mechanical treatments to counteract the spread of pests and weeds, and the potential losses or increased costs that might accompany these changes. Participants argued that these types of negative outcomes were still better than the alternatives that were suggested in the game. Similarly, adaptation measures that might impact on other actors were discussed in this frame as acceptable, since there is a possibility to adapt to the negative outcomes. One example of this is the increased water flows on other fields as a result of increased drainage. Here, participants argued both that this could be tackled with adequate drainage systems and that it would be a common responsibility to keep the existing drainage systems in good condition. Impacts on the common pool were discussed in particular in relation to the conflict frame for the increased use of pesticides and participants problematised the lack of knowledge about alternative options. In this sense, participants negotiated that increased use of pesticides could be assessed as a maladaptive outcome that was nevertheless better than not adapting at all, while other participants argued that these impacts are not an acceptable outcome, and predominantly market-driven, while non-commercial options are neglected. The construction of dams, which was frequently discussed in relation to the need for increased irrigation in the Swedish context, was also negotiated regarding the potential effect of increased GHG emissions, which was discussed as a dilemma by the participants. Similarly, the trade-off of ‘sacrificing’ arable land to create rainwater dams for irrigation was raised, which was in line with discussions on other conflicting interests between different land-based activities. A number of maladaptive outcomes that were proposed in the game were assessed as either incorrect, not relevant or not applicable to the specific farming context from which the stakeholders were arguing. The suggested negative outcomes were challenged with reference to common sense or a general disagreement with the information on which the outcome was based. As such, the discussion on maladaptive outcomes related to this framing did not vary depending on who or what was affected by the outcome, but rather they were challenged either for not being applicable, not considered relevant, too generic or that negative effects could be mitigated by alternative measures. Typical examples were the maladaptive outcome soil compaction that was suggested as a potential effect of direct sowing, structural liming and mechanical control in relation to increased work on the fields, as well as the maladaptive outcome increased nutrient leakage. While some participants disagreed that this could be a potential outcome of structural liming—which is implemented to mitigate nutrient emissions—others negotiated it as a potential negative effect, which could be decreased by the right timing of the measures. Similarly, the potential maladaptive outcome increased use of pesticides generated disagreement regarding the efficiency and safety of pesticides and in relation to whether it was relevant when changing to winter crops or not. In one of the Finnish focus groups, two farmers used glyphosate on winter crops, and argued that they did not see any other option for winter sowing than with glyphosate. Two other (organic) farmers argued that glyphosate will soon be banned and that new ways of both direct sowing and winter crops can and should be developed without dependence on the use of pesticides. Maladaptive outcomes that impact upon the environment or are related in a wider sense to sustainable development dominated the discussions in relation to morality and ethics. Participants were negotiating potential maladaptive outcomes in terms of right or wrong and related them to their own responsibility or that of the agricultural sector. As such, notions of environmental concern, national self-sufficiency and global responsibility were featured in the discussions. In several instances, the dialogues reflected a framing of morality and ethics related to the overall responsibility of the agricultural sector towards the environment, resource management and with regard to food security. Maladaptive outcomes that would impact upon the common pool were linked to decreasing the emission of nutrients, as well as toxic substances to the environment. In particular, during discussions linked to the challenge of an increase in pests and weeds, the use of pesticides was debated in relation to the potential maladaptive outcomes of increased risk of immunity to chemical products and decreased food quality that were presented to the participants in the game. As presented above, the ethical aspects of responsibility to protect the environment (soil quality) was contrasted with the responsibility to feed the global population, and arguments linked to the low production capacity of organic agriculture and lack of ability to ensure global food security were raised. Another sequence of the discussions concerning morality and ethics was linked to the challenge of increased precipitation and the adaptation measure of draining the fields. The potential maladaptive outcomes increasing water flows on neighbouring fields or increasing nutrient leakage were argued to be indeed negative, but acceptable if the alternative was not to adapt at all. A frequent discussion was about the extent to which ‘correct implementation’ would in fact minimise these negative effects, a similar discussion as in relation to the application of pesticides. This framing refers to a rather fatalistic perspective on future changes. It materialised frequently in the form of ‘pest or cholera’ notions, i.e. when participants reflected that any choice they made would lead to a negative outcome. Participants reflected a negative perspective on a ‘future that cannot be controlled’ and the inability to make choices that would not have any potentially negative consequences. ‘Whatever you choose, the problem returns’, as one Swedish participant expressed it. While this frame seldom occurred, it did manifest in the discussion on pests and weeds regarding adaptation measures. Participants stated that the increased occurrence and overwintering of pests and weeds has already been experienced as a problem and stated that there are no responses to this that do not imply potential negative outcomes. For example, the resistance of pests and weeds to pesticides was described as a ‘real risk’, which, despite implemented control measures, is surrounded by ‘unknowns’. Reasoning in the discussions frequently returned to the trade-offs that are inherent in many of the adaptation decisions. These were not specifically linked to any dimension of maladaptation, but rather raised in relation to a discussion on maladaptive outcomes that were acknowledged as negative, but they were either considered an acceptable risk or it was argued that it was possible to adapt to them. For instance, maladaptive outcomes were identified for measures that imply increasing costs for the farm enterprise in the short term, but these were expected to be adjusted by other measures that could regulate or justify this cost. Similarly, a number of measures with potential negative outcomes were selected with the argument that experience showed that ‘so far’ it had worked out well, or that the severity of the negative outcome would depend on other factors, such as which cropping system or type of crop, would be considered. Issues like the increased use of fertilisers or the increased need for drainage were argued to be essential and acceptable despite the various maladaptive outcomes. Some maladaptive outcomes were described as an ‘acceptable risk’ or possible to tackle by means of other measures, even though these might in turn lead to increased costs and bureaucracy. In particular, time perspectives and relative costs and work (including bureaucracy) appeared to influence the negotiation of trade-offs within this framing. Frames of public accountability frequently circulated around the role of societal actors such as the state, businesses, experts and science and concerned the extent to which research is in the public good or serves private interests. This refers back to the conceptualisation by Nisbet and Scheufele (2009), which refers to the responsible use or abuse of science in decision-making, and its ‘politicisation’. The notion of the ‘public’ in our material predominantly concerns stakeholders in the agricultural sector. Participants referred to, and valued, judgements of science and policy, while repeatedly voicing perspectives of politicisation. Examples focused for instance on the prioritisation of urban development and adaptation at the cost of the agricultural sector, which crystallises the public accountability scheme of interpretation, turning climate (mal)adaptation into an urban/rural conflict. Participants in the Swedish groups repeatedly criticised national agricultural politics for not valuing Swedish agriculture, with reference to both local experience and global food security in light of climate change, highlighting the prominence of this frame. Similarly, examples from the Finnish focus groups reflected on the role of regulations and policies in creating potential negative effects for the farmer. For instance, the controversy around the application of glyphosate raised further debates about the accountability and legitimacy of scientific results. Policy-related discussions covered the experienced irrationality of agricultural subsidy policies, as well as concrete examples of experienced economic losses that the respondents related directly to changing regulations for subsidy payments. Other potential maladaptive outcomes that were linked to responsibility and governance were related to the risk of increased costs for investment, when negotiating options to adapt to increased precipitation. In the Finnish discussions, the ‘old and mostly inefficient drainage systems’, as well as the area required for implementing new drainage solutions, were debated. As one of the Finnish respondents explained: ‘It is rather expensive, but necessary in many fields here because when they [the agricultural administration] decided on the norms, the machinery was smaller’. A general discussion that arose in several focus groups was the challenge for farm enterprises to cope with continuously changing policies and regulations. Negative consequences were related to increased costs, both in terms of work time and sanctions, as well as the risk of negative consequences for society and the environment due to poorly implemented measures. Participants in one of the Swedish focus groups argued that maladaptive outcomes, rather than being a phenomenon related to the adaptation to climate change, are an effect of policy decisions related to notions such as ‘increased national self-sufficiency, increased land for bioenergy production, decreased meat consumption and its consequences’. Hence, on a conceptual level, participants perceive potential negative effects of climate adaptation as a matter of politics, thereby politicising decisions regarding climate maladaptation. This study has analysed maladaptation by means of content and frame analysis, examining how Swedish and Finnish agricultural stakeholders negotiated potential maladaptive outcomes as presented in the Maladaptation Game, contributing to the emerging empirical literature on maladaptation (Antwi-Agyei et al. 2017). We analysed whether and why a potential maladaptive outcome was accepted or declined, and what types of framings these discussions mirrored. Participants negotiated whether a negative outcome would need to be avoided at all costs, or could be accepted as part of a trade-off—either because it would be better than not adapting at all or favourable to the potential maladaptive outcome that an alternative adaptation measure would imply. These negotiations revealed how different ideas on maladaptation circulate and are shaped, showing that maladaptation can be understood in different ways and from various angles (Table 2). ‘All of these decisions at farm level are based on economic thinking – within the limits of regulations and other limits set by society’. Finnish participant argues that the farm economy is the priority in all decision-making at the farm scale and that potential maladaptive outcomes would thus be evaluated firstly regarding their economic impacts on farming. Swedish participant discusses why he accepts the maladaptive outcomes, and reasons that there are alternative ways that need to be considered to cope with any of the given maladaptive outcomes. ‘The broad bean, for one, is a great plant from many perspectives and it has become more popular […] but it requires development of the supply chain’. Finnish participant, referring to the lack of proximity to animal farms as one key issue that would make it hard for him to sell the product. ‘…difficult to choose something simply good, I was a little afraid of the consequences, simultaneously you do not want to have the other effect either, so I thought it was a little bit difficult’. Swedish participant discussing the trade-off between creating irrigation dams and increased emissions of greenhouse gases. ‘In the long run it has to be banned, because, well, most statements about it are not true and it is used in significant amounts’. Finnish participants discuss the monopoly position of a certain pesticide producer resulting in maladaptive outcomes related to the overuse of the product and the economic dependencies created by it. Reasoning regarding negative effects due to adaptation measures in relation to impacts on others and on the environment, as well as general issues of responsibility. ‘Yes, but it’s an inevitable consequence of direct sowing which, on the other hand, decreases driving on the field. Without glyphosate usage ‘there are no chances’ of direct sowing. […] there’s this organic farmer in my area whose fields are very clean (of weeds) but he sometimes cultivates even three times in the autumn with a heavy machine and then mows’. Finnish participant elaborating on the alternatives of direct sowing and pesticide usage versus organic farming and banning pesticides. Highlighting maladaptation as embedded with severe consequences and unexpectedness, indicated by a rhetoric of tragedy, disaster and catastrophe. ‘There’s that with innovations about how long a testing time you should have. With GMO, for example. How is it decided what is an appropriate time to say that there are no harmful consequences? I mean, on what scale can we start implementing something totally new? Like sewage sludge. When we are nevertheless talking about food production’. Finnish participant describes hazardous maladaptive outcomes as related to implementing novel technologies and practices that are not tested in situ or over the long term. ‘What I experienced in a meeting with the municipalities was that it’s mostly arable land that is considered for use as a flooding area to save the urban areas, and that is a problem which I believe needs to be raised, as they do not think of the farmer who is supposed to produce on this land – there’s no reflection regarding the agriculture that is disappearing’. This example reflects a discussion on how local, urban climate adaptation measures result in maladaptive outcomes for the rural agricultural sector. The quoted participant accuses the municipality of prioritising urban areas ahead of rural areas in issues relating to climate adaptation. A number of maladaptive outcomes that were proposed in the game were assessed, for different reasons, as either incorrect, not relevant, or not applicable to the specific farming context that the stakeholders were arguing about. The discussions revealed that the sense-making of maladaptation was highly contextual and depended on the specific background a participant was reflecting on—be it geographic (e.g. the example given for ‘public accountability’ in Table 2) or in terms of the production system (e.g. the example given for ‘morality/ethics’ in Table 2) or even time perspective (e.g. the ‘Pandora’s box’ example in Table 2)—but also describing very specific trade-offs between who or what is affected by an adaptation measure and in what way. Similar findings have been identified by Antwi-Agyei et al. (2017), demonstrating how adaptation can result in negative lock-ins over time. The analysis indicated that the dimensions of maladaptation (Juhola et al. 2016) that were discussed by the participants differed between the framings, even though all dimensions were touched upon to some degree, since the game mechanism challenged the player to explore different types of maladaptive outcomes. This study has provided insights into stakeholders’ views and sense-making processes on maladaptation. While it may be obvious that adaptation options which increase the vulnerability of the targeted and/or external actor(s), or of the wider socio-environmental context should be avoided so as not to erode the preconditions for sustainability, this study illustrates the complex, value based, individual—yet dialogical—processes and contextual basis for identifying and assessing maladaptation. Based on an interactional frame analysis of the negotiations of agricultural stakeholders, the results of this study identified that maladaptation can be understood as an economic, social and moral issue, invoking competing claims but also as relative to, and as a third way between, such competing claims. Furthermore, the analysis concluded that these frames were not mutually exclusive but rather coexisted within a complex web of interdependency in participant discussions. For instance, while Nisbet and Scheufele’s typology of frames (2009) distinguishes between social frames and morality frames, our analysis found frames of social aspects of climate maladaptation related to responsibility. Hence, the analysis found an overlap between the negotiations on social and moral aspects of climate maladaptation. Participants differed in how they valued their responsibility, discussing, for instance, the use of pesticides as either ‘right’, based on arguments of social responsibility, or ‘wrong’, based on arguments of soil quality. Similarly, the discussions on technical/ scientific uncertainty and conflicting goal aspects of maladaptation were linked to similar perceived drivers for increased pesticide use. The claims were either based on perceptions related to a lack of sufficient knowledge or on the market led distortion of the pest control selection. Based on participant negotiation and debating of different opinions and perspectives, this study suggests that maladaptive outcomes should be considered as dynamic, always in the process of formation, debate and negotiation. Our analysis further concludes that stakeholders in the agricultural sector ascribe negative values differently to climate maladaptation measures, negotiating contextual rather than static thresholds. While the game was initially designed to enable an identification of thresholds for maladaptation to establish whether a negative outcome would indeed be maladaptive, the results of this study rather indicate that maladaptation is certainly an issue of valuing, ascribing and negotiating ‘the negative’. The participants negotiated the potential maladaptive outcomes depending on: (i) whether they agreed that this was indeed a potential consequence of an adaptation measure, (ii) whether they considered this to be a negative outcome, and if so whether it was (iii) a negative outcome which they could adapt to, (iv) a negative outcome which would make it preferable not to adapt at all or (v) negotiable in terms of a trade-off with alternative outcomes. In line with Sanderson et al. (2018), our results indicate that values merit attention as values form perceptions on whether the outcome of a climate change adaptation measure is seen as maladaptive or not. As previous research (Asplund et al. 2013; Findlater et al. 2018) shows, while multiple linguistic framings of weather and climate challenges coexist, such frames also influence farmer adoption of best practices. In addition, this study has shown the relevance of the contextual basis—e.g. geographical setting or farm type—served as a starting point for value-based discussions on climate maladaptation. Collective responses then may require deliberative framing as proposed by Romsdahl et al. (2018). Deliberate framing strategies, they argue, identify common and divergent interests and values, and thereby devise collective responses to climate change. In cases where adaptation may turn to maladaptation, deliberative framing practices can ‘provide an innovative avenue to develop practical solutions’ (p. 284). As agricultural adaptation strongly depends on farmer decision-making, understanding their reasoning is crucial to determine whether benefits will be accrued. Thus, if farmers consider the potential outcome of an adaptation measure as negative, they might refrain from implementation. While this reasoning is depending on the type of hazards and measures taken, it also links strongly to the adaptive capacity at farmer level. These findings have implications for adaptation policy within the agricultural sector. If farmers do not implement adaptation measures due to their perception on maladaptive outcomes, it is possible that the sector will face increased climate risks or loss of potential benefits. This study emphasises the importance of including maladaptation as an analytical perspective when assessing adaptation measures and their outcomes, and to recognise the multidimensional understanding of these. It also showed that an interactional frame analysis can contribute to the unravelling of values underpinning the assessment of maladaptive outcomes. While the methodological approach of using a serious game to support focus group dialogues enabled the inclusion of multiple possible measures, outcomes and dimensions of maladaptation, it also presented a number of obstacles and opportunities that require further assessment and methodological development (Asplund et al. forthcoming; Neset et al. forthcoming). As a first empirical contribution to addressing the concept of maladaptation in a Nordic agricultural context, this study contributes to an increased understanding of the complexity of the concept of maladaptation, while acknowledging the challenges for adaptation decision-making and policy development. This study is funded by the Swedish Research Council FORMAS under Grant No. 2013-1557.